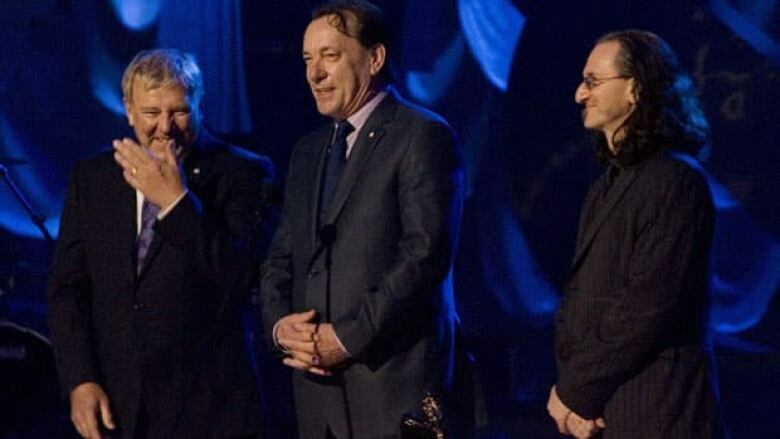 The power trio Rush has won a Governor General's Performing Arts Award. The group was among six laureates announced Tuesday in Calgary. Rush may be perennially overlooked by the U.S. Rock and Roll Hall of Fame, but the band is getting an award for lifetime achievement at home. The rock power trio has won a Governor General’s Performing Arts Award. The band members are among the laureates announced Tuesday in Calgary. Janina Fialkowska, a classical concert pianist with a 35-year career as an international star. Paul-André Fortier, a dancer and choreographer who has created 49 original works, including Loin, très loin for dancer Peggy Baker and Cabane for his own company Fortier-Danse-Création. Denis Marleau, a Quebec theatre director, stage designer and artistic director who is regularly featured at Montreal’s Festival TransAmériques and at festivals around the world, including the Avignon Festival. Deepa Mehta, the film director and screenwriter who created Oscar-nominee Water and is to release Midnight’s Children later this year. Mary Walsh, the Newfoundland-born writer and comedian, who starred in CBC’s This Hour Has 22 Minutes and Hatching, Matching and Dispatching. Each laureate receives a cash award of $25,000 from the Canada Council for the Arts and a commemorative medallion struck by the Royal Canadian Mint. Walsh is famous for her "Warrior Princess" character, who ambushes politicians and public figures for a frank talk, among them new RCMP Commissioner Bob Paulson and Toronto Mayor Rob Ford, who famously called 911 when she turned up outside his house last year. Rush, made up of Alex Lifeson, Neil Peart and Geddy Lee, is one of rock’s most influential bands with remarkable longevity and a track record that includes selling more than 40 million albums since 1974. There’s been an ongoing campaign by Rush fans to have the group inducted into the Cleveland-based Rock and Roll Hall of Fame. But each year when the nominees are announced, the Canadian trio known for hits such as Closer to the Heart and Fly by Night, is overlooked. The three have been members of the Canadian Music Hall of Fame since 1994. Fortier said it was very touching to receive the award since it means he was nominated by his peers. It's also an opportunity to reflect on his long career, he said. "As a creator you're always thinking about the next project, you know. I'm never looking backward," he said. "So this kind of award forces you to give a little look backward and say, 'My God, I've done all this.'" Earlaine Collins, a supporter of the performing arts for 45 years, won the Ramon John Hnatyshyn Award for Voluntarism in the Performing Arts. She has donated time, talent and capital to organizations such as the Canadian Opera Company (COC), the Toronto Symphony Orchestra, and the Calgary Philharmonic. 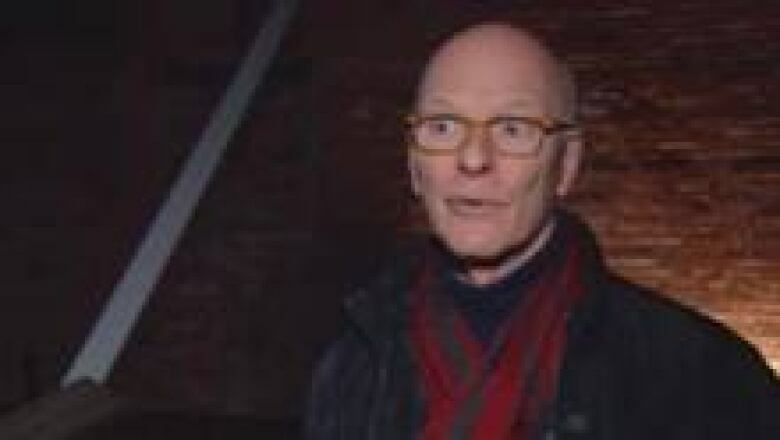 Des McAnuff, Stratford Shakespeare Festival’s artistic director and a Tony winner for his production of Jersey Boys, won the National Arts Centre Award, presented for exceptional achievement over the past year. McAnuff helmed the acclaimed Stratford production of Jesus Christ Superstar that went on to San Diego and New York. McAnuff was honoured for a year in which he directed a production of Faust for the Metropolitan Opera, opened the second North American tour of Jersey Boys, saw the production of The Tempest he directed head to cinemas and developed a new musical production of Doctor Zhivago, which opened early this year in Seoul, Korea.